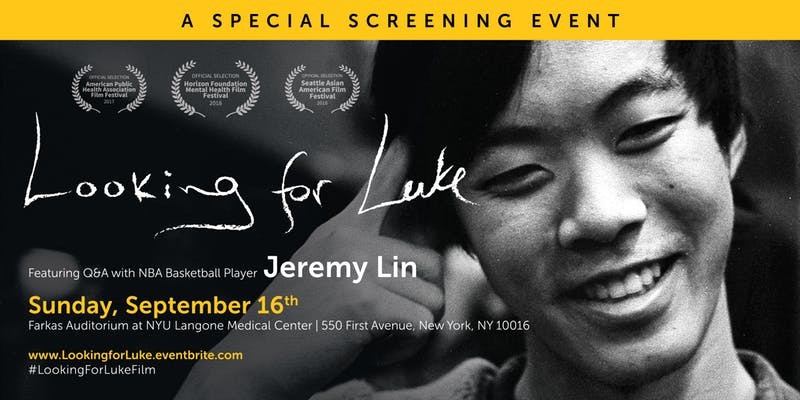 The Clay Center for Young Healthy Minds invites you to a free screening of "Looking for Luke" featuring special Q&A with NBA basketball player, Jeremy Lin. "Looking for Luke" is a short documentary following the parents of Luke Tang, a well-liked, passionate and brilliant Harvard sophomore who took his family and friends by surprise when he died by suicide. Luke's parents, Wendell and Christina, have made it their mission to help other parents, particularly Asian parents, identify and understand the signs and signals of depression and other behavioral health disorders that can lead to suicide. The film screening will be followed by a panel discussion with mental health advocates and Asian American community leaders.